I have recently been in touch with Laurent Granier, who has sent me a number of images of his work. I am including a few of these here, so that you may see what is happening in France. 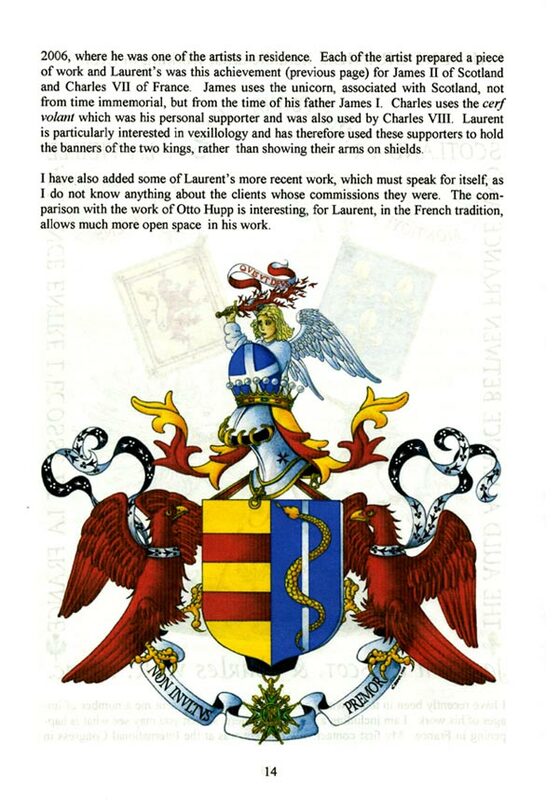 My first contact with Laurent was at the International Congress in 2006, where he was one of the artists in residence. 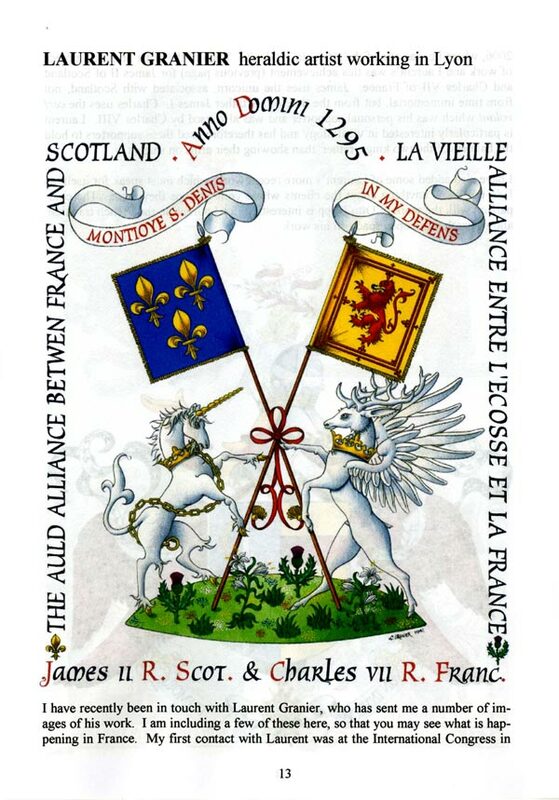 Each of the artists prepared a piece of work and Laurent’s was this achievement (previous page) for James II of Scotland and Charles VII of France. 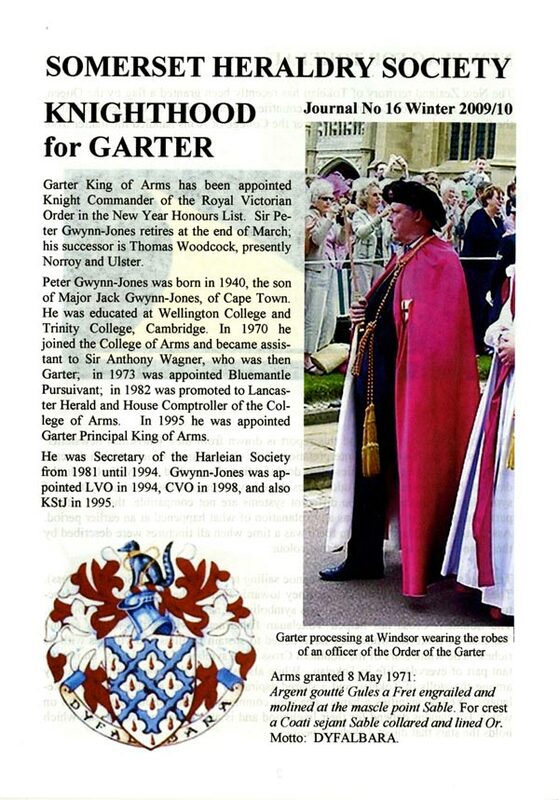 James uses the unicorn, associated with Scotland, not from time immemorial, but from the time of his father James I. Charles uses the cerf volant which was his personal supporter and was also used by Charles VIII. 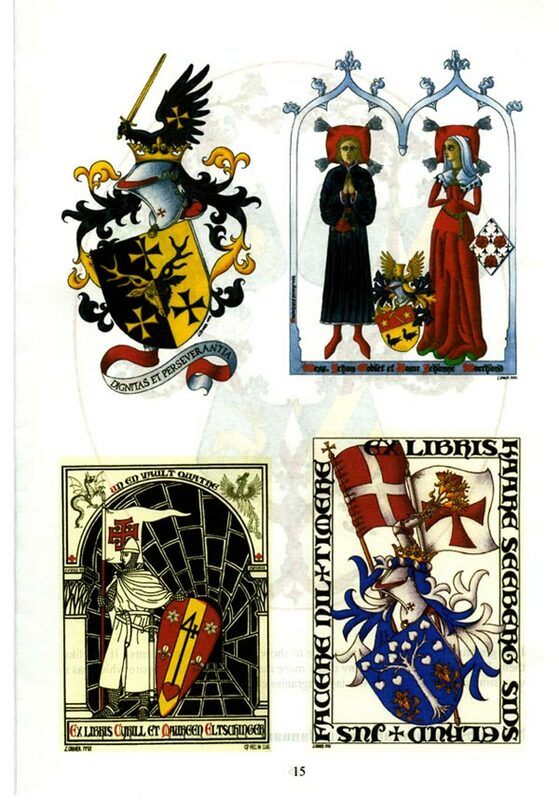 Laurent is particularly interested in vexillology and has therefore used these supporters to hold the banners of the two kings, rather than showing their arms on shields. 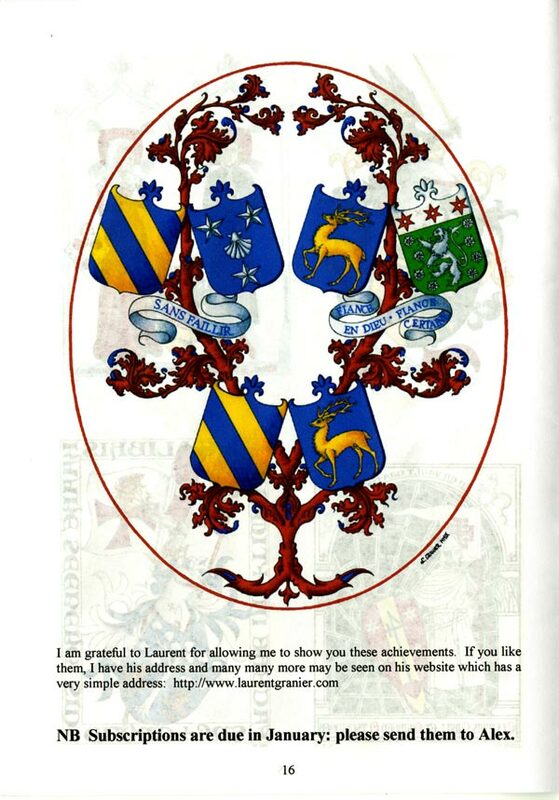 I have also added some of Laurent’s more recent work, which must speak for itself, as I do not know anything about the clients whose commissions they were. The comparison with the work of Otto Hupp is interesting, for Laurent, in the French tradition, allows much more open space in his work.